Get giant sound in a small package - at a steal! Featuring a 2/3-scale (22.5"), the JS Series Dinky Minion JS1X is ideal for little shredders or grownup road dogs who need an easy-traveling instrument jam-packed with the features they love. The Dinky Minion JS1X has a poplar body, speedy bolt-on maple neck with graphite reinforcement rods and a 12" radius amaranth fingerboard with 24 jumbo frets and sharkfin inlays. 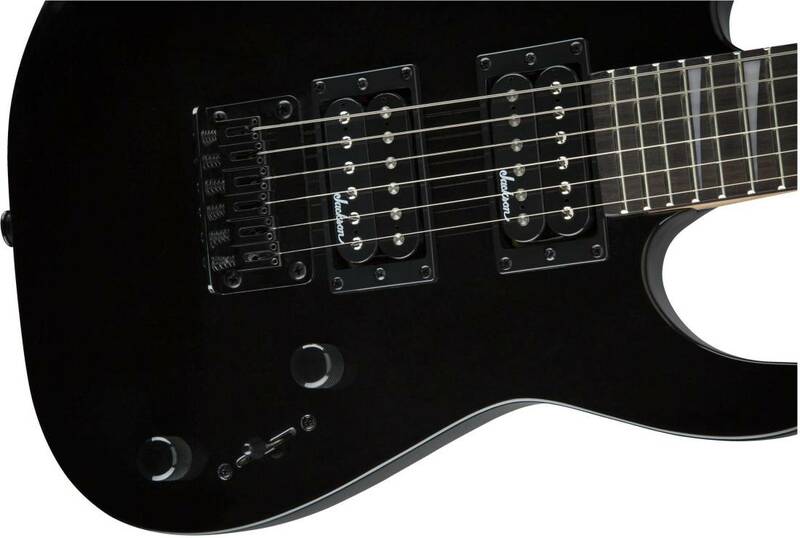 Other features include a rear-angled headstock for evenly distributed tension (reducing playing fatigue), sculpted heel for easy upper register playing, dual Jackson high-output humbucking pickups with three-way blade switching, a string-through-body hardtail bridge and black hardware. The Dinky Minion JS1X is available in seven super rad colours - Bright Blue, Ferrari Red, Gloss Black, Neon Green, Neon Orange, Neon Pink and Pavo Purple.